As stories surrounding the 2017 launch of the "iPhone 8" continue to heat up, a report from The Bell this morning has already begun rumors for next year's so-called "iPhone 9." 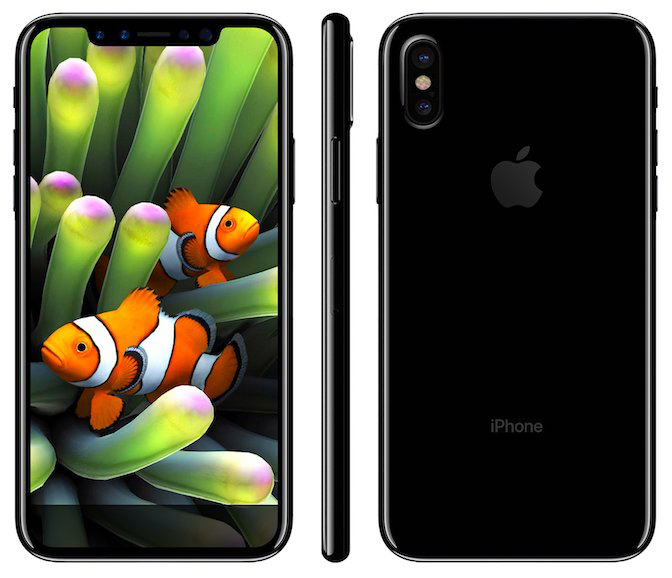 According to the report, which centers on Apple's and Samsung's supply chain deal for the 2018 iPhone, the iPhone 9 will launch in two OLED screen sizes: 5.28-inch and 6.46-inch (via The Investor). Apple currently sells a 4.7-inch and 5.5-inch display in its iPhone 7 and iPhone 7 Plus smartphone devices, respectively. Later this year, the company is expected to launch new iPhones in three sizes: two "iPhone 7s" models will keep the 4.7-inch and 5.5-inch display sizes, while the major new "iPhone 8" will include a 5.8-inch OLED screen. The report said the iPhone 9 is expected to come in two OLED models -- 5.28- and 6.46-inch display sizes. Samsung’s OLED shipment is also likely to be more than double at 180 million units. The new rumor for the 2018 iPhone devices suggests a screen that would be slightly smaller than the current display of the iPhone Plus models, and then a larger option that would represent Apple's biggest smartphone display to date. Although the report doesn’t confirm the full sizes of the iPhone 9 models, the screen dimensions suggest Apple could return to a pair of device sizes similar to current generation iPhones but with full-front displays and greatly reduced bezels. The Bell's report today doesn't mention any other rumors related to the iPhone 9, except that Samsung will be the supplier for the OLED displays and will manufacture more than 180 million units for Apple. The report did state that details such as "screen design and functions" might be adjusted down the line, considering how far away the iPhone 9 is from a launch date. Ugh, I'm already bored with my iPhone 8. I'm sure these large handset sell fine to those who don't carry them in their jeans pockets. the current 7 non plus is as big as I'll ever want. If they'd fully load the SE I'd buy that one instead. iPhone 15 will be shaped like a flying saucer and be branded the iPhone Cupertino. 6.4 inches would be awesome. I figured this is what would happen. the iPhone 8 is a one off then we go back to a 2 phone size release each year after. The Bell. Most reliable source ever.